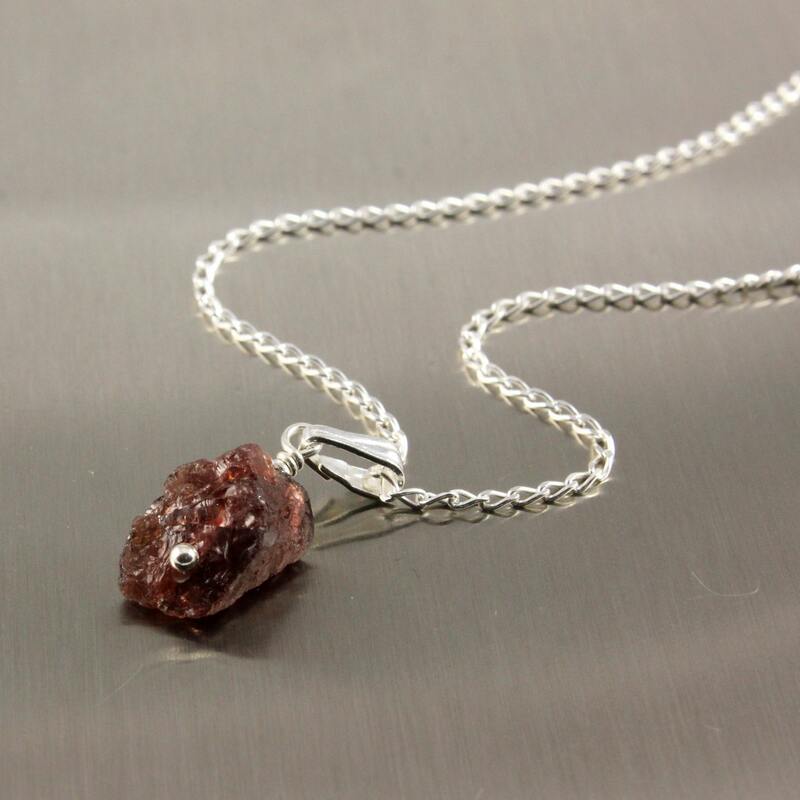 Irregular shape rough garnet is hanging from Sterling Silver bail and chain. 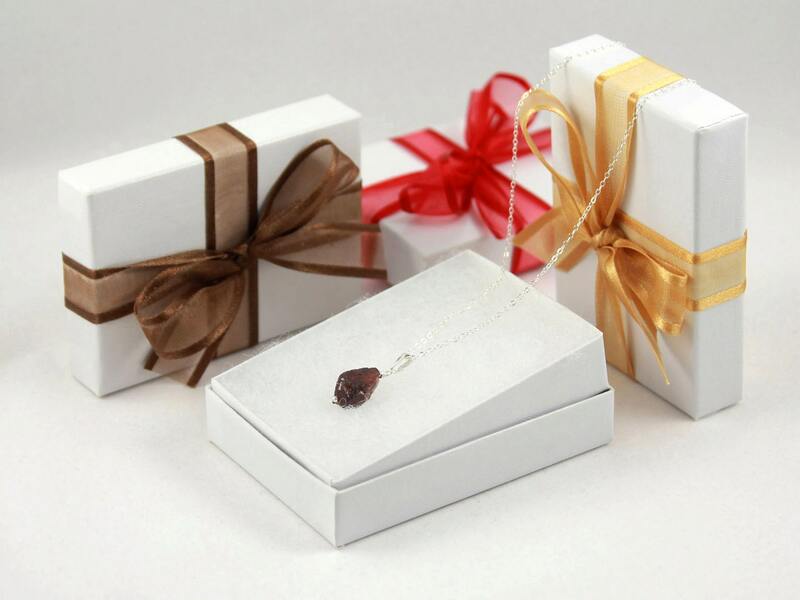 This rough garnet natural stone has variation of deep red color. 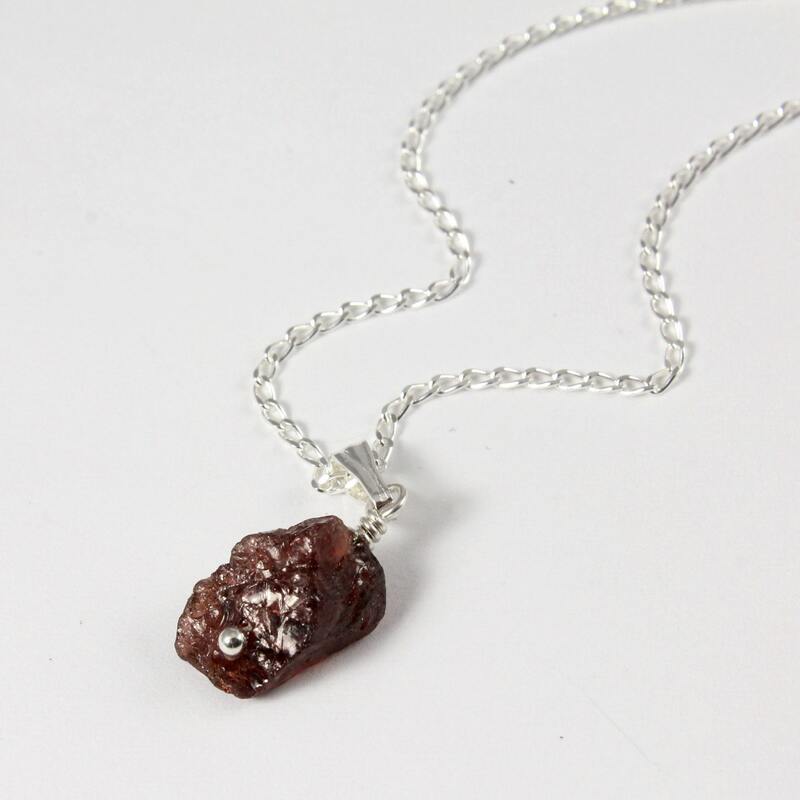 Its uneven shape makes the pendant one-of-a-kind. 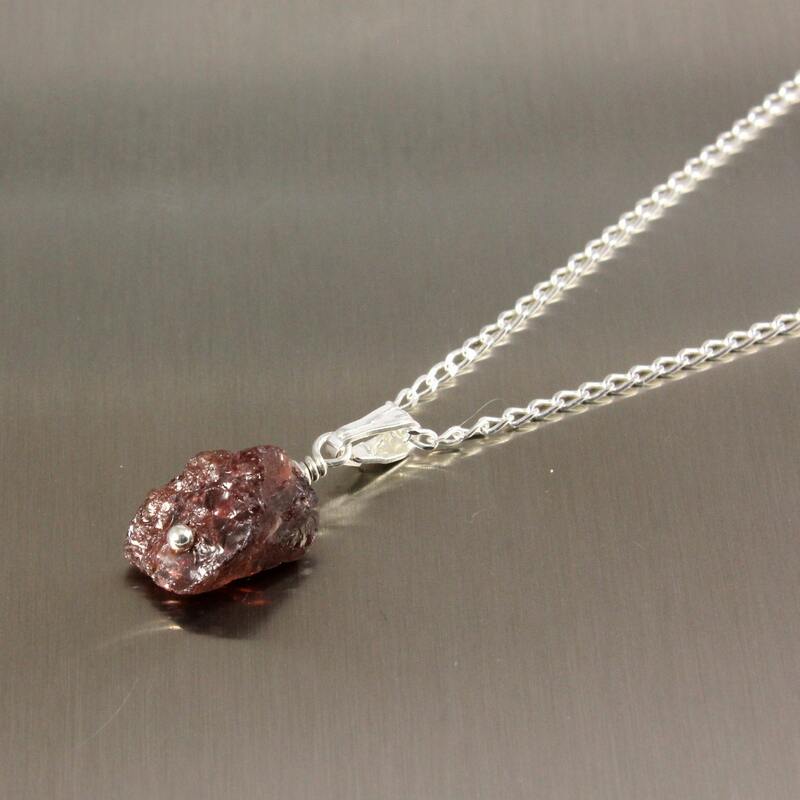 The stone measures approximately 6x10 mm. 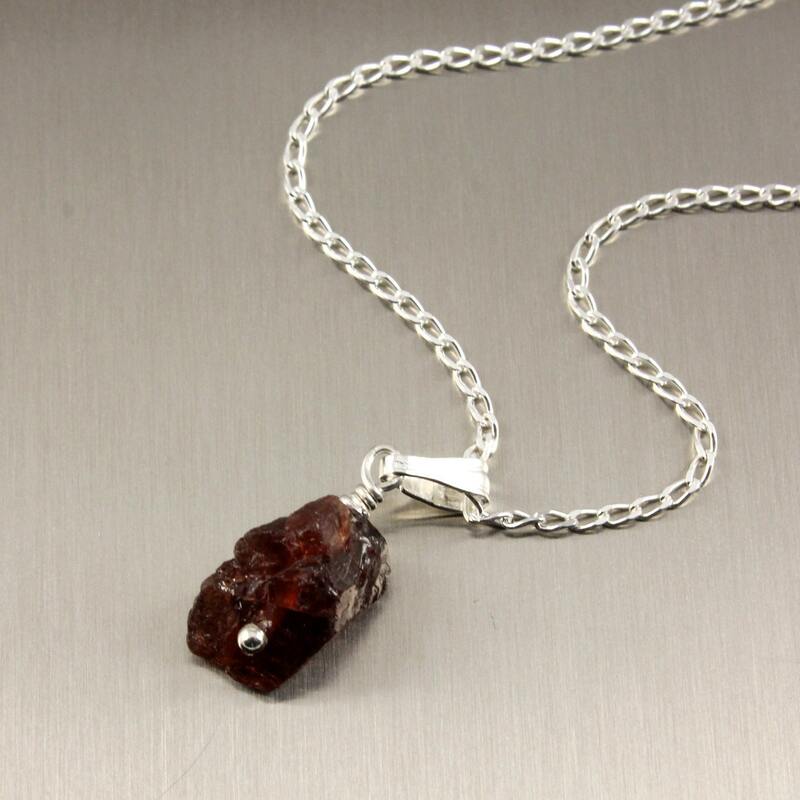 Size, shape and color may slightly vary as the stone is natural and rough.